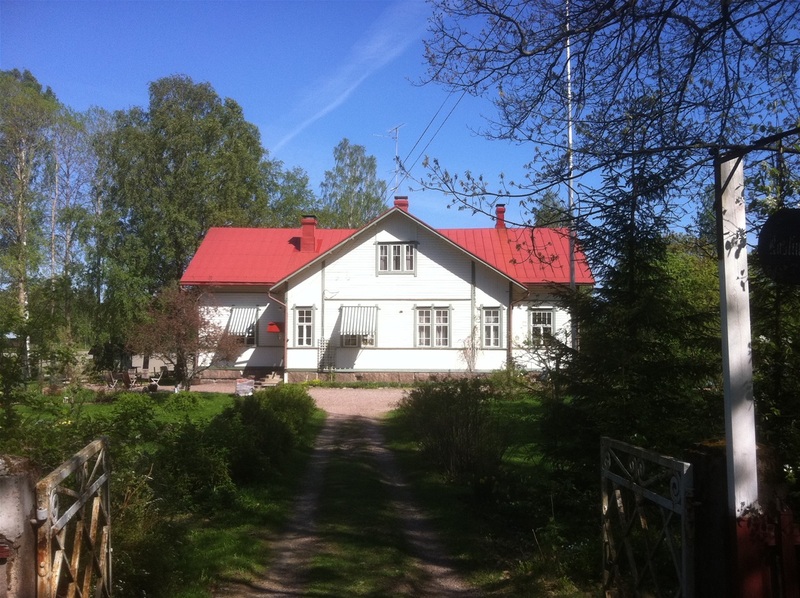 The Roslings estate is situated in the cultural scenery of Särkilahti Bay on the Gulf of Finland. The timber-framed buildings are originally of a village 'folk school', in which the teacher lived and which was drawn by architect Yrjö Sadeniemi and erected around 1911. At that time Finland was still an autonomous Grand Duchy under Russia and for the construction of this public building the Finnish Senate had to request funding from the Czar. As evidence of the history, the related documents can be found in the National Archive of Finland. The next door neighbour to the school is the Lill-Särklax Manor from the 18th century and across the bay sits the manor Särklax Gård, the site of which was homestead to the ancestry of the prominent Finnish industrial family Serlachius in the 17th century. The name of the estate, Roslings, is based on a Swedish name of a locally common flower (Andromeda polifolia). The buildings served as the village school until the 1960s, whereafter it was sold by the municipality and converted into a family home. The gardens have been gradually developed since the mid 1990s, without forgetting biodiversity and natural meadows. The grounds are bordered by the original trees like birches, spruces and a majestic old oak. from the Czar. As evidence of the history, the related documents can be found in the National Archive of Finland. The next door neighbour to the school is the Lill-Särklax Manor from the 18th century and across the bay sits the manor Särklax Gård, the site of which was homestead to the ancestry of the prominent Finnish industrial family Serlachius in the 17th century. 1911. At that time Finland was still an autonomous Grand Duchy under Russia and for the construction of this public building the Finnish Senate had to request funding from the Czar. As evidence of the history, the related documents can be found in the National Archive of Finland. 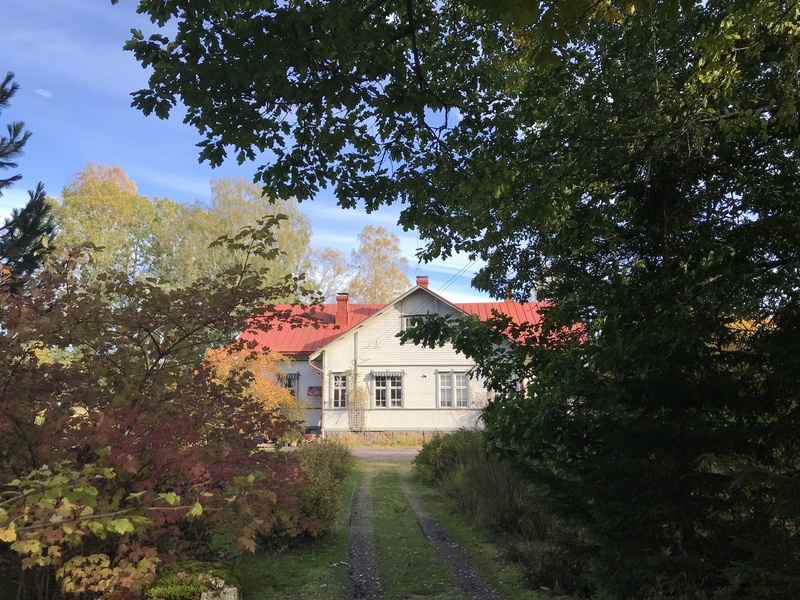 The next door neighbour to the school is the Lill-Särklax Manor from the 18th century and across the bay sits the manor Särklax Gård, the site of which was homestead to the ancestry of the prominent Finnish industrial family Serlachius in the 17th century.